Lufthansa Cargo has started selling Brussels Airlines’ belly capacity, expanding its presence in Africa. 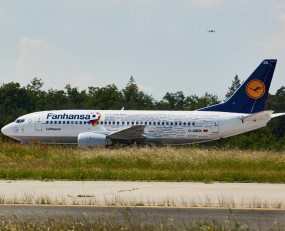 The first Brussels aircraft carrying cargo sold by Lufthansa will take off on September 1, 2018 but can be pre-booked 30 days in advance. The new cooperation gives Brussels Airlines Cargo customers easy access to Lufthansa Cargo’s worldwide route network with around 300 destinations in over 100 countries. For Lufthansa Cargo customers, the route network will be supplemented by further attractive destinations – above all in West, East and Central Africa, directly from Brussels. This adds 15 new African destinations. Brussels Airlines is the fifth passenger airline whose cargo capacities are brought to the market by Lufthansa Cargo. With the marketing of the cargo capacities of Brussels Airlines, the cargo holds of 10 wide-body and 43 narrow-body aircraft will be added.